A hundred pieces of Irish artwork from the collection of Brian P Burns is going up for auction at Sotheby's. The Irish-American entrepreneur, attorney and philanthropist provided the collection of watercolours, oils and sculptures for sale. Mr Burns has said it is was "a personal mission to inform the American-Irish diaspora about the beauty and the visual tapestry that Irish art has bequeathed the world". 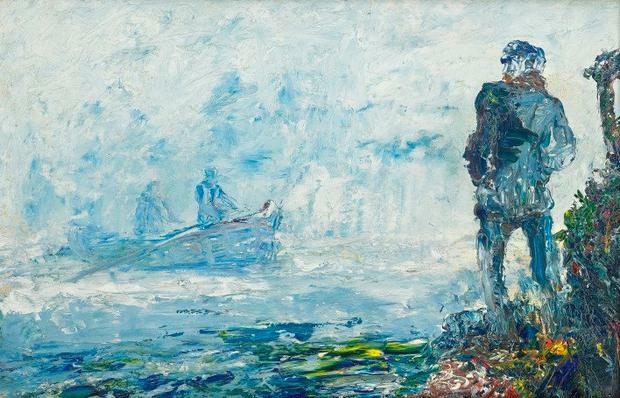 Works by Jack B Yeats, Roderic O'Conor, John Lavery, William Orpen, Walter Osborne, John Leech, Mary Swanzy, Rowan Gillespie and a host of others are for up auction on November 21.